홈 » 자동화 » 전기기기용 케이스(NEMA규격) » 벽면 설치용 전기 엔클로저 » SCE-NLP Series NEMA Electrical Enclosures. 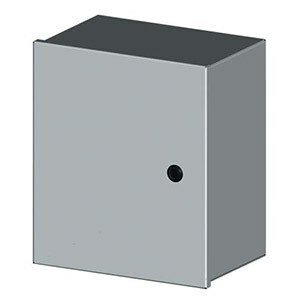 The SCE-NLP Series electrical enclosures are designed to house electrical controls, instruments and components in areas that do not require oil, water and dust tight protection. ANSI-61 gray powder coat inside and out over phosphatized surface. Optional panels are powder coated white.